Now that the fall season is approaching, it's time to start thinking about getting your system prepared for the upcoming heating season. While there are a number things that you can do on your own, it's important to remember that only a professional can get your system running perfectly for the months ahead. Your heating and air conditioning system contains a number of filters, and these filters should be changed on a monthly basis when the system is in use. Changing the filters is pretty easy, and you can keep your system running efficiently when you change out the filters every month. New filters allow your system to get the air that it needs to run well, as clogged filters make the system use more energy to provide the same amount of heat. Your venting system can collect dust and build up mold over time, especially during periods of light or no use. You can check your duct system by looking in visually, and checking for areas that are loose or in disrepair. A professional HVAC company will come in during a routine seasonal maintenance and clean your duct work system for you. In the summer months, sometimes furniture gets moved around. 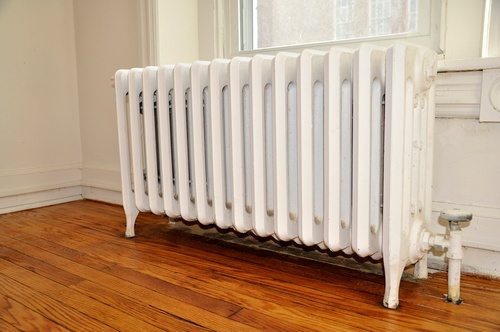 While this works when the heating system isn't turned on, furniture that is blocking vents will cause a problem once the heating system is turned on. The air in your home needs to be able to flow freely in order for the heating system to work effectively. Check for blocked vents throughout your home to ensure that the air flow is optimal. An HVAC professional will do a thorough cleaning of your heating system and the duct work throughout your home. With the skills to open up the machine and clean, lubricate and repair all necessary parts, your technician will prepare your system with a complete maintenance routine. All filters will be changed if you haven't done so, and your unit will be ready to provide you heat in the next couple of months. With seasonal maintenance, you are giving your system what it needs to work well when the weather gets cold. Left undone, regular maintenance turns into emergency repairs that can leave you in the cold. With regular maintenance, your system will run efficiently. This will save you money over the winter months, and will keep your home warm when you need it most. When you don't bother with maintenance, you run the risk of needing costly emergency repairs at all hours of the day or night. Emergency repairs tend to cost more money, and so in order to save money it's important to keep your system running smoothly. When you are ready to prepare your home for the winter ahead, call in an HVAC professional to clean and maintain your system.